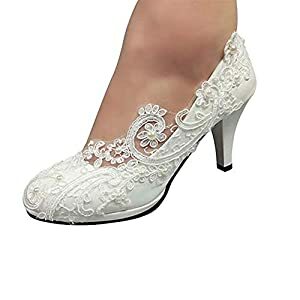 Material: 100% safe Manmade leather, Low heel ivory wedding shoes for bride and bridesmaid. 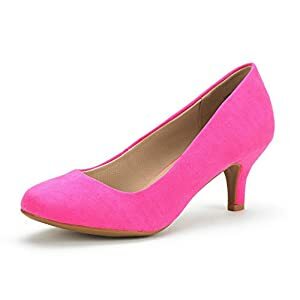 Comfortable: 2“ Low heels design will help you feel comfortable with every step you take with this flat shoes. 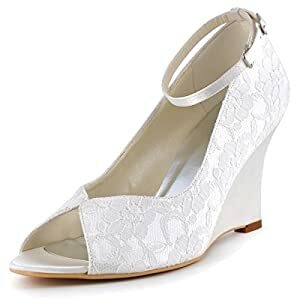 It will be a great support for you to prevent hurting form sandals. 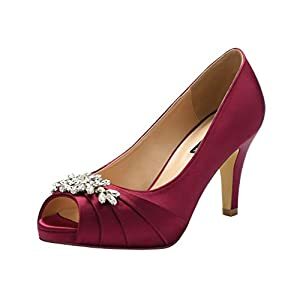 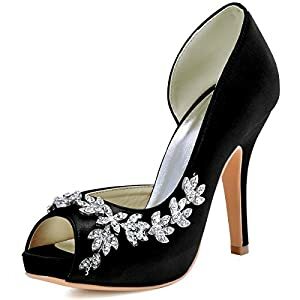 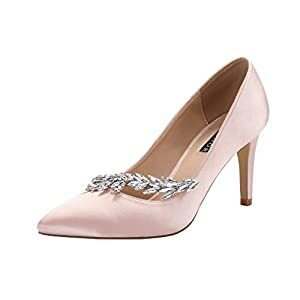 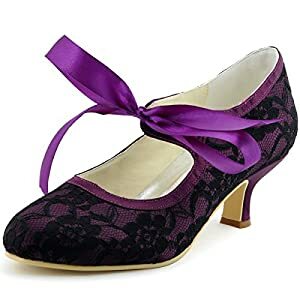 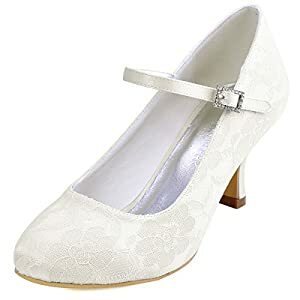 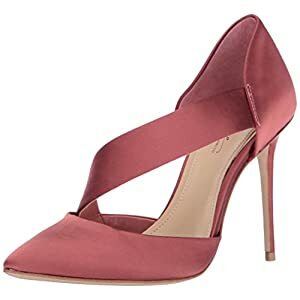 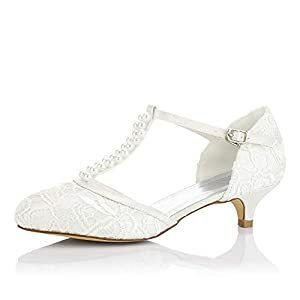 Widely in Various Occasions: Gorgeous shoes fit for wedding, prom, evening party, cocktail, homecoming, graduation and any other special formal occasions. 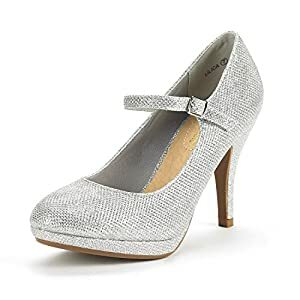 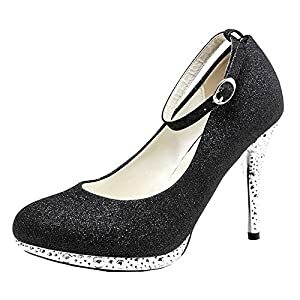 Synthetic Glitter women pumps, fit for your date Heel measures approximately 4"